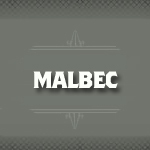 Malbec is a red wine grape variety primarily found in Cahors in southwest France, and also Argentina and Chile. Purple in color, the wines produced are inky red or violet, thick and "juicy". 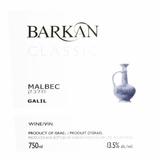 It is commonly used in blends with Merlot and Cabernet Sauvignon to create French Bordeaux, but can be found in 100% Malbec varieties. Flavors that can be encountered vary from blackberry, raisin, garlic, tobacco, dark fruit and herbs.